The weekend was dominated by the latest Tom Cruise film Mission: Impossible—Fallout and pushed a few genre films down a notch. 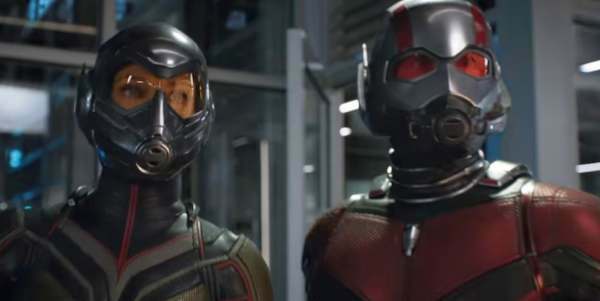 Walt Disney's "Ant-Man and the Wasp" moved one position to the number five spot in its fourth week. It lost a whopping 49% to make $8.4 million for a domestic box office gross of $183 million and a worldwide total of $394 million. Although it's a brutal drop it means the sequel has beaten the previous movie's total ($180.2m) and Thor ($181m) and now stands as the 16th largest release in the Marvel Cinematic Universe. Walt Disney's "Incredibles 2" moved one position to the number six spot in its 7 week. It lost about 40% to make $7.2 million for a domestic box office gross of $573 million and a worldwide total of $996 million. It's right on the edge of breaking into the one billion club. Universal's "Jurassic World: Fallen Kingdom" stayed in the number seven spot in its 6 week. It lost/gained about -40% to make $6.8 million for a domestic box office gross of $398 million and a worldwide total of $1235 million. Walt Disney's "Avengers: Infinity War" moved one position to the number 19 spot in its 14 week. It lost about 9% over last week to make $0.4 million for a domestic box office gross of $678 million and a worldwide total of $2.044 billion. 20th Century Fox's "Deadpool 2" moved two positions to the number 21 spot in its 11 week. It lost about 43% over its thirteenth week to make $0.3 million for a domestic box office gross of $318 million and a worldwide total of $732 million. Walt Disney's "Solo: A Star Wars Story" moved dropped to the number 22 spot in its 10 week. It lost over 44% compared to last week to make $0.1 million for a domestic box office gross of $213 million and a worldwide total of $389 million. Paramount Pictures's "A Quiet Place" is running in a small number of theaters and moved five positions to the number 25 spot in its 17 week. It lost about 13% to make $0.1 million for a domestic box office gross of $188 million and a worldwide total of $332 million. Walt Disney's "Black Panther" is still in a handful of theaters and rose five positions to the number 45 spot in its twenty-fourth week. It lost about 88% to make $0 million for a domestic box office gross of $700 million and a worldwide total of $1.347 billion. Hopefully, it'll get a re-release when it hits Oscar season. What do you think of last week's box office?